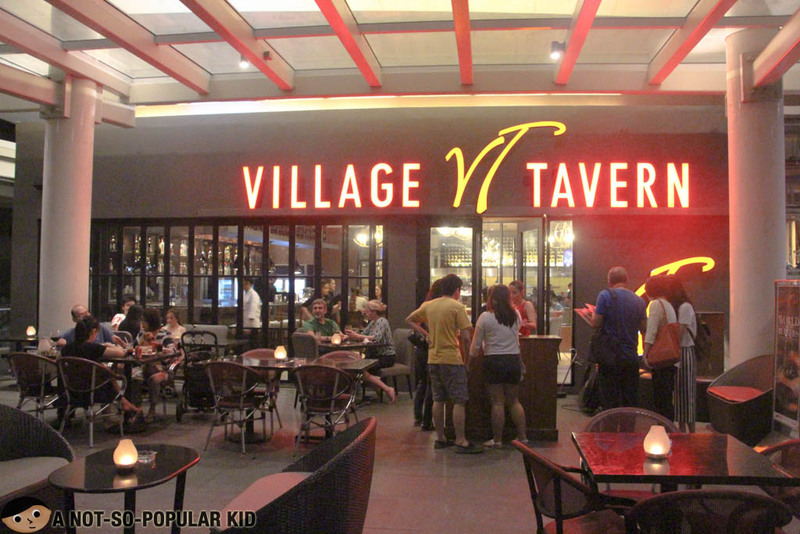 When I was given the opportunity to try out the latest burgers of Village Tavern, I got curious but not exactly thrilled. Well, I mentioned it already here in this blog, but I seem to be not a burger person. 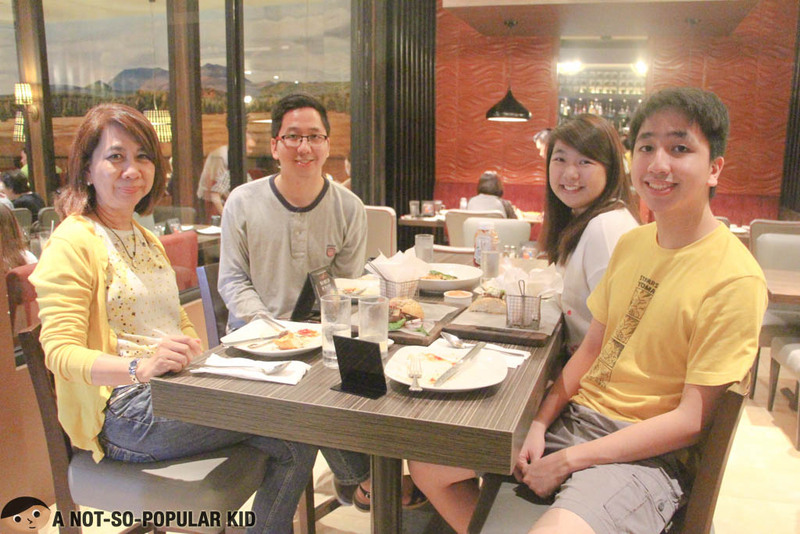 Still, I wanted to put that into test by trying out some unique burgers by this restaurant in Bonifacio Global City. 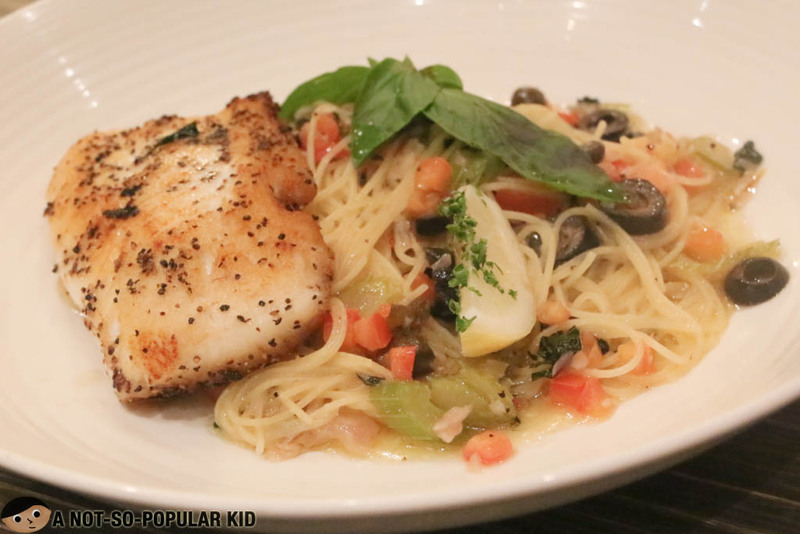 Village Tavern is one of the restaurants under the Bistro Group, which include Friday's, Tonkatsu by Terezawa (read more), Italianni's and more. 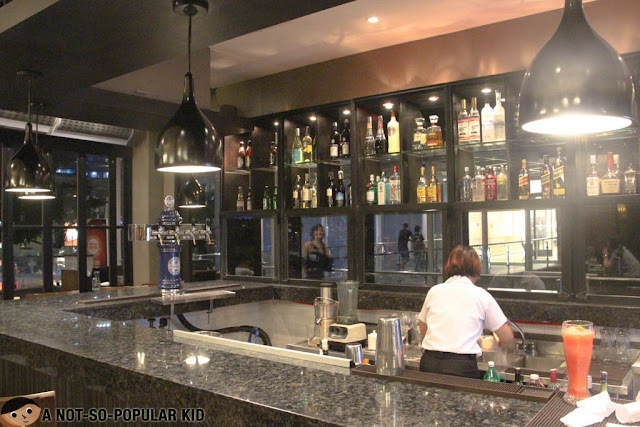 Similar to Friday's, the interior of Village Tavern is both modern and "chill". 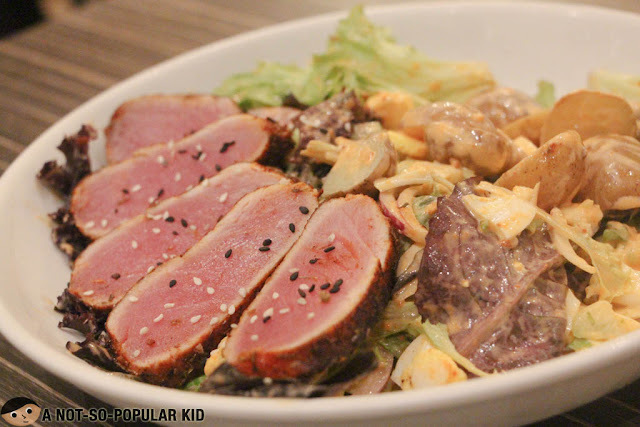 Just as the name suggests, the restaurant has the usual feel of a tavern but mixed with an air of classiness in order to be family-friendly as well. 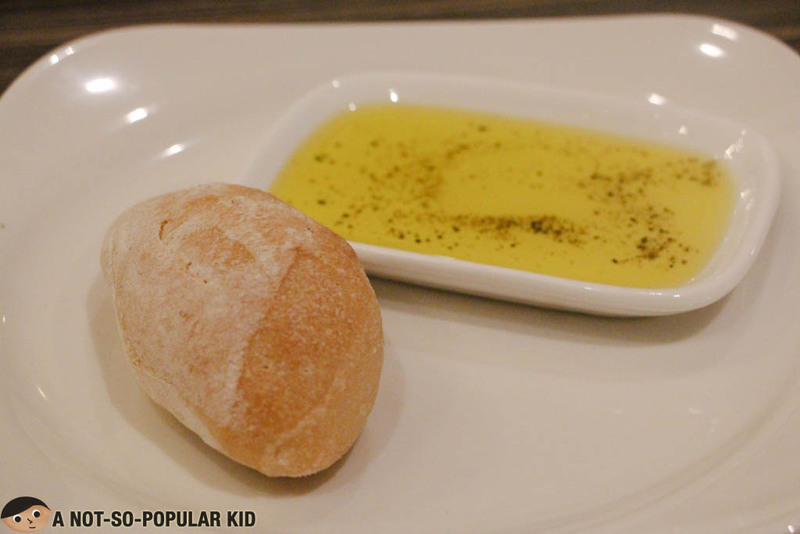 Just like some of the other restaurants under the Bistro Group, Village Tavern offers a service bread as you wait for your orders. I appreciate restaurants doing this because it somehow helps in extending patience in waiting. However, for this particular experience, I didn't need that "extended patience" because dishes were served on time. Now, before we head onto the burgers, let us first get to the appetizers and other entries. The salad was a bit bland as for the overall taste but this simplicity may be seen as a good thing because flavors were non-intrusive. The tuna was fresh so it pulled the dish up. Anyway, just make sure to have a piece of the tuna in every bite so that the experience would be richer. I wasn't able to personally try this one, but I'm sharing it because it looked really good! The snapper was fresh which was something I appreciated. The noodles were nice and the oil-based sauce was tasty marked with veggy and herby zest. Alright, it's now time to give you a preview of the World of Burgers series. I was able to take photo of the 3 out of 4 burgers under the selection, and tasted 2 out of 4. 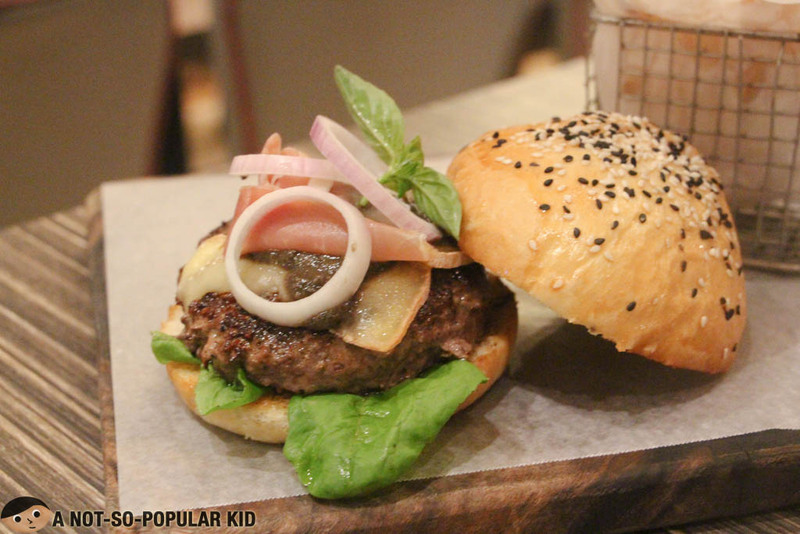 This Monte Carlo Burger brought a tasty yet salty experience. Overall, it got this vintage cheesy tang that spiced up the burger. This created uniqueness in the overall blend of flavors. 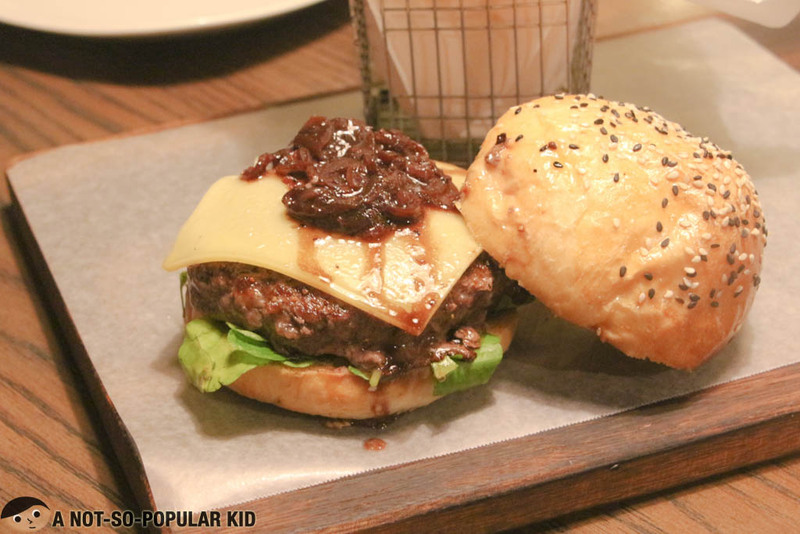 Given these characteristics, I believe that this burger is for those who have high tolerance for saltiness and for those who can appreciate bold sophisticated flavors. The same thing as the Monte Carlo Burger applies to this Waldorf burger. 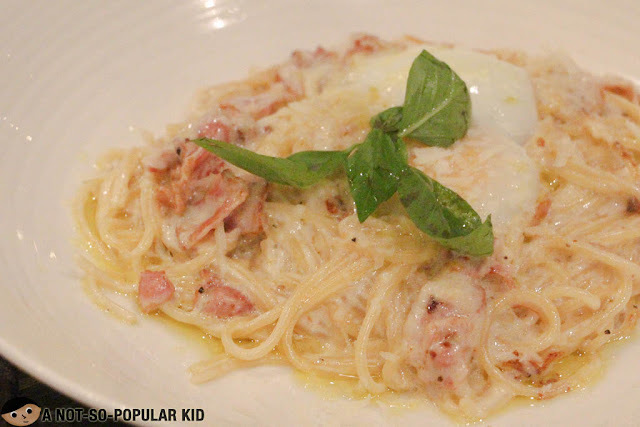 However, this time, the saltiness was cushioned by the subtle sweetness and creaminess of the sauce and bits on top. Although, I still need to admit that the potency of the flavors are still there. 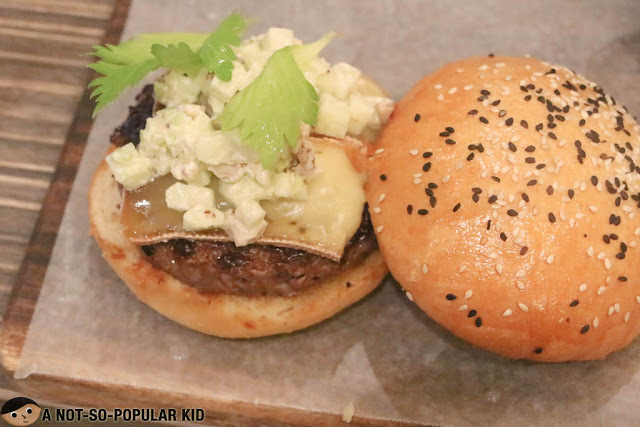 I wasn't able to try this burger myself, but I guess this has a friendlier taste for those just starting to appreciate bold flavors. I can only judge it by how it looks, so I still need to validate that one. Alright, so that's mostly about my burger experience! Thanks for checking it out, and I hope it was able to help you even just a tiny bit! 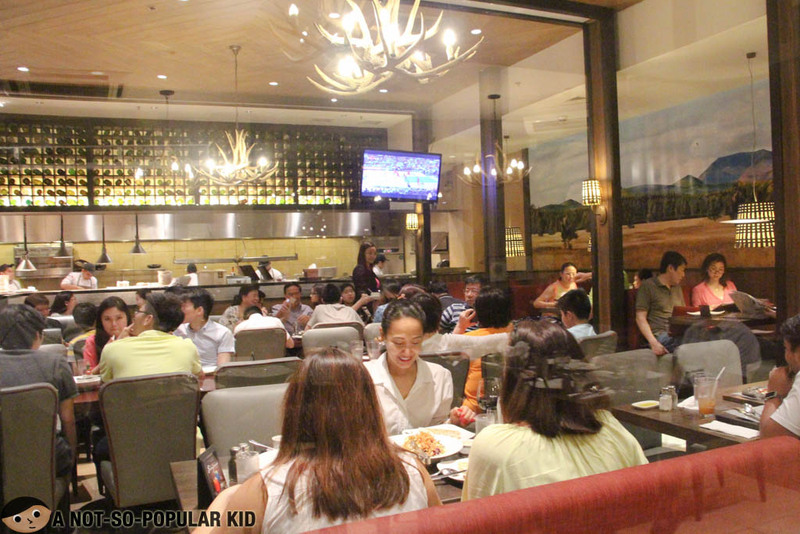 Overall, I was able to appreciate our experience here in Village Tavern. I just had a realization that the Wagyu Burgers here may not be for foodie who are trapped in the traditional Pinoy world of flavors. This is because for the these new burgers of Village Tavern, you will need an openness and trained palate to be able to appreciate the strong and diversity of uncommon bold flavors. Hence, if you think you have a sophisticated palate, then by all means I encourage you to give this a try!